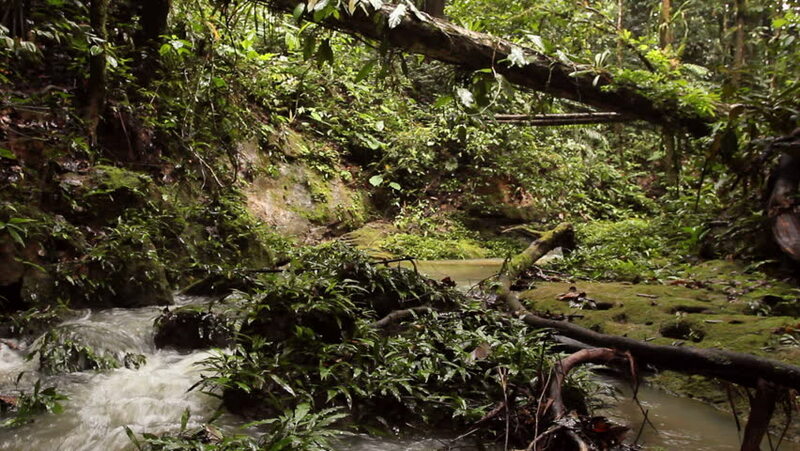 Stream running through Amazonian Rainforest, Ecuador. hd00:22Local boat and mangrove trees whip by as the camera cruises along the river through a mangrove forest in Cambodia. Asia.